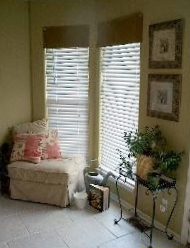 I offer verbal recommendations or written recommendations for both interior and exterior staging. I place furniture and accessorize to highlight architectural features of the home. Staging to sell is not the same as decorating to live! Sometimes a house needs additional visual appeal for the masses. I can coordinate the selection of furniture, art and accessories for a vacant home. Looking for a speaker to give you tips on getting a home ready for sale? I’ve presented to a variety of groups on this and other related topics and can present for you. After the home has sold, how about a housewarming consultation for a client’s new home? Paint can fix almost everything. I can select both interior and exterior color palates. With homes for sale, placement of furniture is critical. Also, for remodeling projects, furniture placement makes a huge difference based on the function of room and its inhabitants. Sometimes people need just a little reassurance they’re on the right track. Sometimes they need to be led a specific direction. Either way, I can help pick out materials that work!